Leslie Stone, MD has practiced obstetrics, women’s health, and family medicine for 30 years. 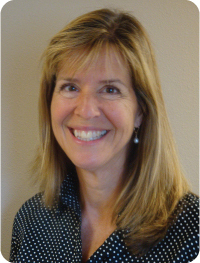 She specializes in the area of women’s health and healthy childhood development. Leslie feels that her primary role in medicine is to help women enjoy, appreciate, and maximize every passage in life, from infancy through aging. She has helped women of many nationalities and cultures deliver babies. Dr. Leslie Stone has joined with David Jones, MD, and Michael Stone, MD, to provide comprehensive care to families. The emphasis at Stone Medical, P.C. Comprehensive Family Medicine, is early recognition of health issues with early intervention to correct imbalances that can lead to chronic illness. This new way of thinking recognizes the complexities of health and disease in the individual, and provides the evidence-based scientific answers to patients’ health care needs. Integration of both the principles of family medicine and functional medicine provide a means to address patients’ needs on many levels. Precision in diagnosis using conventional assessment tools (e.g. physical exam, lab, X-ray) with lifestyle interventions (nutrition, exercise, emotional and psychological changes) integrate into a system of comprehensive family medical care.